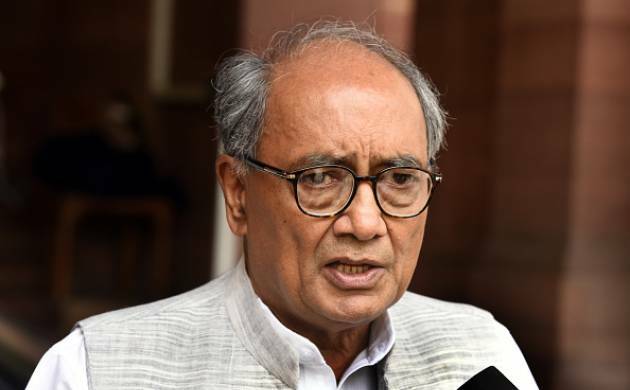 Senior Congress leader Digvijay Singh has pitched for holding dialogue with Pakistan and insisted that artists from both the countries should work in cross border films to strengthen ties between the two nations. Addressing an event to mark 199th birth anniversary of founder of Aligarh Muslim University Sir Syed Ahmed Khan, Singh accused the Centre of trying to use provision of Uniform Civil Code (UCC) to target a particular community. He, however, said the UCC should not be brought in until there is no consensus. On the issue of triple talaq, Singh said the government has no right to interfere in personal laws of Muslims, but also suggested community members to ensure rights of women through discussions on the issue within themselves. "We can't decide our neighbour. We must accept that Pakistan is our neighbour and work towards improving ties with it. Dialogue is the only way," Singh said. Expressing surprise over opposition to Pakistani actors working in Bollywood film, he sought to know how they could be "troubled" after being issued visa in India. "Artists are like ambassadors. They can help improve ties. There is a need to encourage people-to-people contact to strengthen India-Pakistan tie. War is not the way," he said. Objecting to the NDA government's alleged attempt to link triple talaq with Uniform Civil Code he said it can't be "imposed" without consensus. "Our Muslim brothers too should think about rights of women in connection with triple talaq. But neither the government, nor anyone else should interfere in it. Muslims themselves should solve whatever issues are there through discussions," he said. The event was also attended by former Congress MP Sandip Dixit and Maharashtra Pradesh Congress Committee secretary Shehzad Poonawalla.